Sanctus Bellum are a Doom influenced Metal act from Houston. Everything about this band screams old school. The cover is reminiscent of the Sabbath Bloody Sabbath cover, and the music contained within is an obvious nod to the classic traditions of the likes of Black Sabbath, Trouble and other bands of old. I suppose the album could be considered a mini-album with only six tracks, but these days the average track listings number between five and six anyway. With that said, Return to Dust feels like a complete album. The songs flow together to create a sonic soundscape that forces the listener to sit back and enjoy the ride. Some weaker minds would require a spark up with this album, but those that listen for the music will find the experience just as enlightening, and will most likely remember the next day. The album lacks those speed-demon riffs and the worn out screams that so many of the new generation define as “heavy” which is one of the refreshing things about this album. 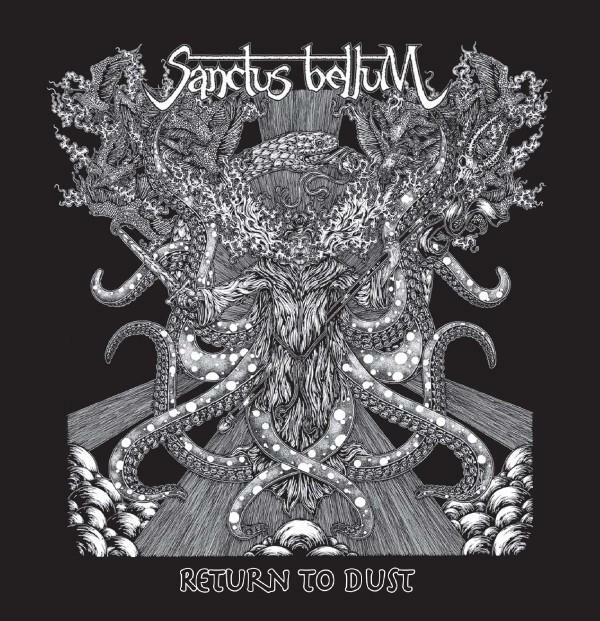 Sanctus Bellum are heavy for the sake of the music rather than the effect. One stand out track is “God’s Own Warrior,” which layers a Middle Eastern undertone, in both lyrics and the cadence of the solos, to an early Sabbath-esque structured song. “The Reddening West” has a Thin Lizzy feel to the delivery of the lyrics and the quicker pace of the song, while “Dagon’s Bride” tweak the formula made famous by The Sword. Justin’s vocals are inviting and haunting simultaneously, and add a layer of realism to the almost ethereal quality to the groundwork laid down by the rest of the band. This is a must have for fans of traditional Metal, as well as the general Metal fan who doesn’t need the singer to simply scream in their face.